Compact(4.3"L x 2.5"W x 1.3"H) and functional hard case keeps items safe and extremely portable. For more size option in product description. 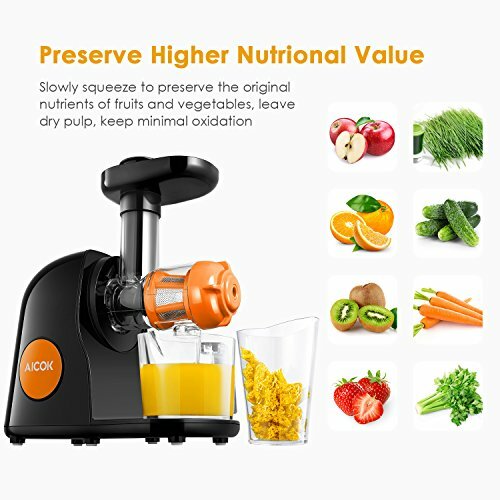 The 150 watt motor quietly operates at 80 rpm while quickly extracting the juice minimizing oxidation and preserving nutrients and enzymes from fruits and vegetables. Equipped with a special decelerating gear inside the motor to reduce vibration and noise, so it is quiet enough to be used. You don’t need to worry about cleaning the juicer. 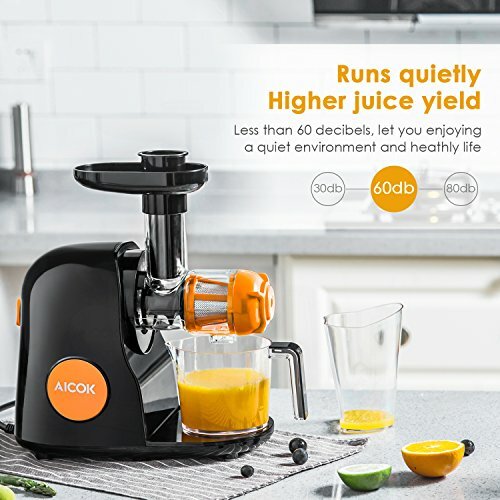 Aicok’ juicer is easy to assemble and disassemble and clean-up is done in just minutes. You can control the direction in normal/reverse motion to prevent clogging. Turn in a reverse direction to remove what is caught inside. 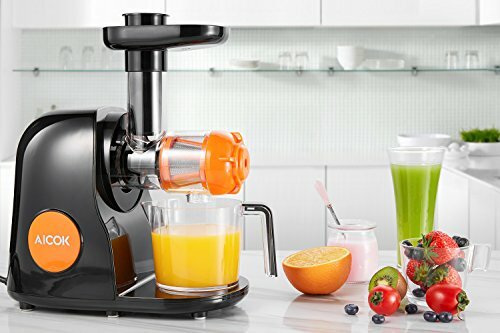 ● To protect the motor, the juicer will start working after 3 seconds when you press ” Start ” to hear the BI sound. 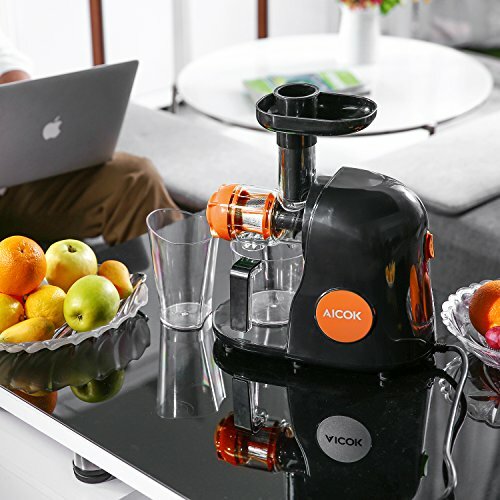 ● It is recommended not to use the juicer for more than 20 minutes, which will affect the motor use next time. 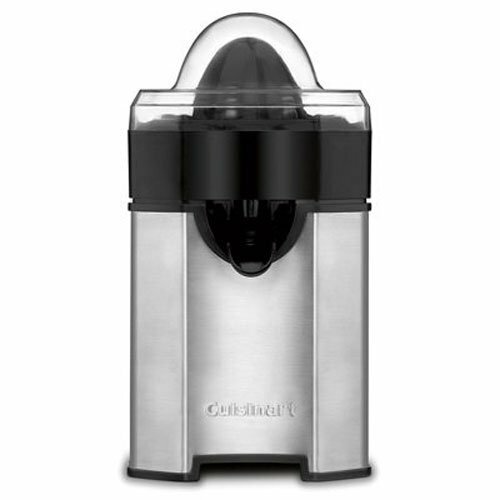 ● Do not put any hard material, large seeds, ice or frozen products in to the feed hole of the juice extractor. 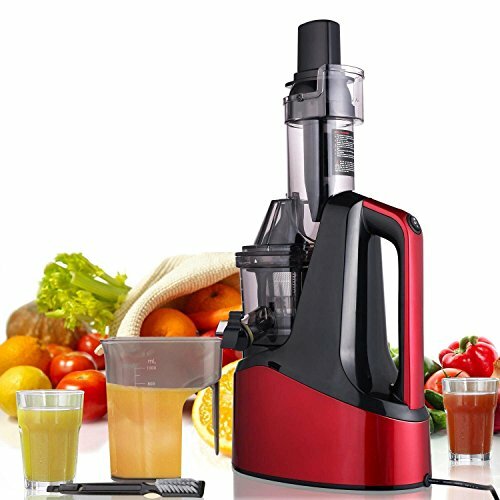 3 Years Warranty Single Spiral Juice – Better extraction of nutrients from juices, 80RMP single-spin slow chewing of fruits and vegetables, which increases juice yield by 80% compared to other juicers.  More Silent and Healthy Life – Silent motor extracting with less than 60 dB, no annoying your healthy life. Made of food grade material which is BPA FREE, make your drinking more safely. 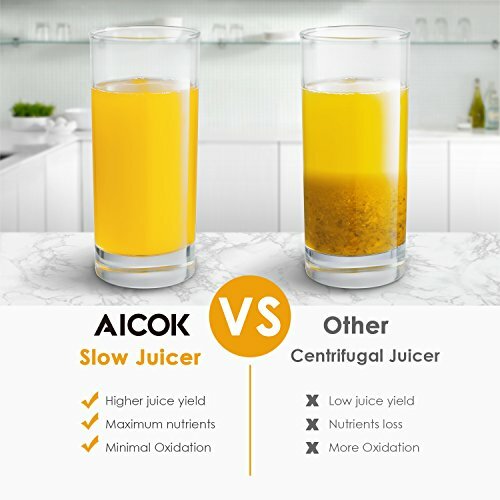  Richer Nutrition and Less Pulp in Juice – Slow masticating can perfectly separate juice and pulp, extracting higher-purity juice and preserving higher nutritional value. The slow juicer is higher juice yield more than 60-80% compared to centrifugal juicers by the auger squeezing and reverse function. 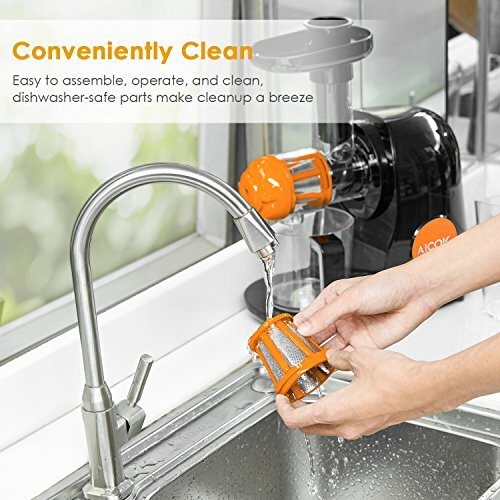  Muti-Purpose – Extract various vegetables and fruits in a few minutes, such as celery, ginger, wheatgrass, leafy greens, carrot, apples, oranges, etc. 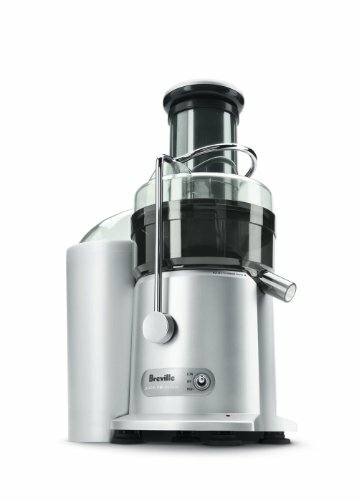 Better masticating vegetables and fruits than other juicers, higher juice yield, and drier pulp. 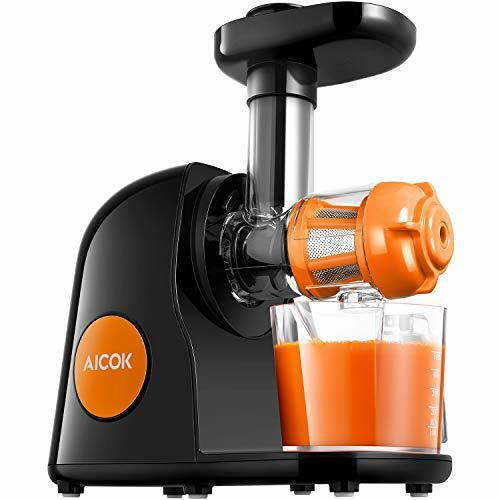  3 Yeas Warranty- Aicok Juicer using advanced technology, UL, ETL certification. Provide lifelong technical consultation and customer service.